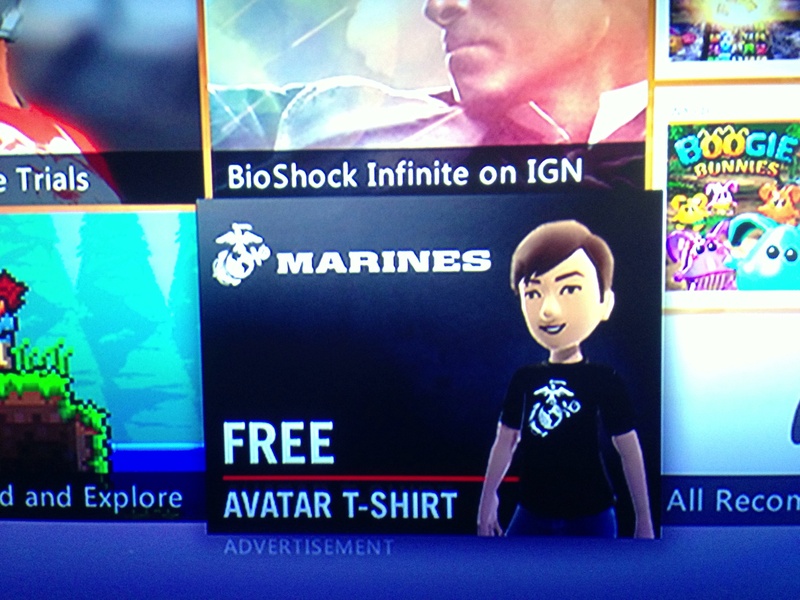 Find the ad for “Marine Corps” on your tiles once you boot up your Xbox. Click on each of the 4 categories up top (“Requirements”, “Training”, “Roles”, “Missions”). This will unlock the 5th tab called “Download Items” which will allow you to download a free t-shirt for your avatar. 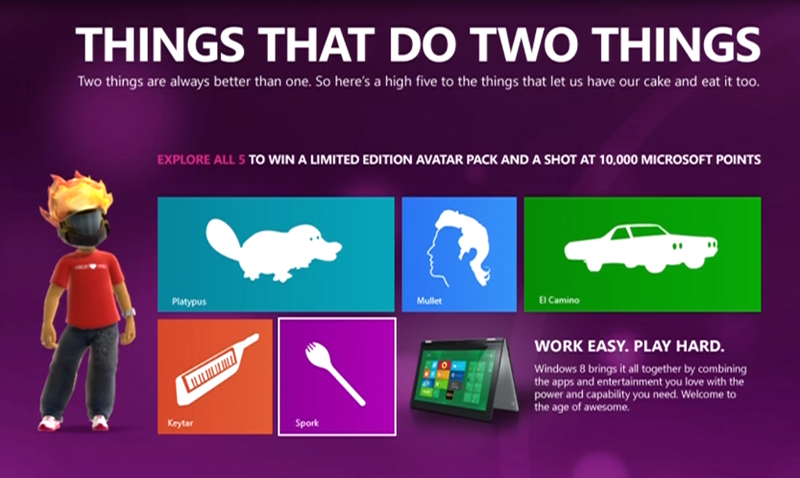 There is a FREE Windows 8 Mullet Hairdo that will give your avatar the Business in the front and Party in the back look. Just look for the “Things that do two things” Advert on the dashboard and click on all the 5 different things and at the end it will let you download this Sweet Mullet!